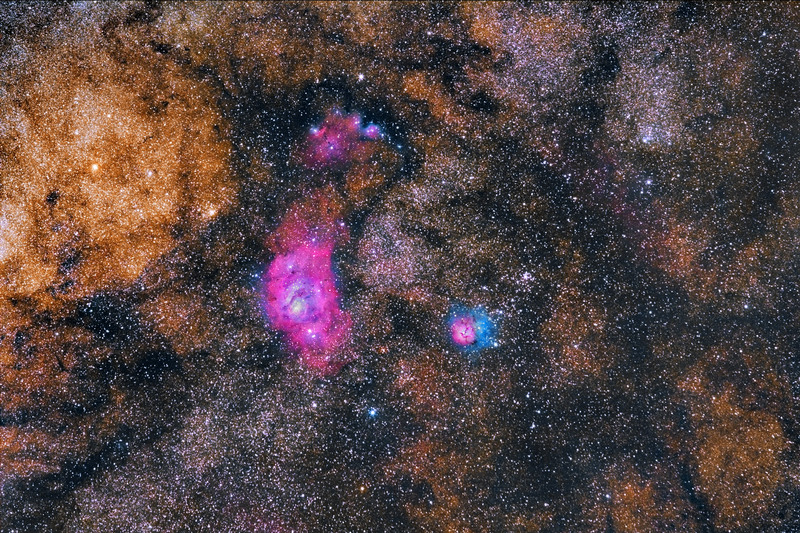 This image covers a very rich region in the constellation of Sagittarius. There are many star-forming areas in this section of the Milky Way. The most prominent objects here are M8 (the Lagoon Nebula) and M20 ( the Trifid Nebula). 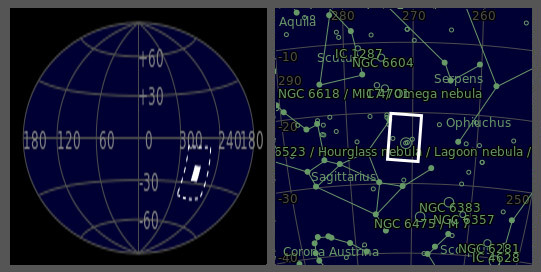 Some other nebulae could be also seen include NGC6559, IC1274, IC1275, and IC4685.